Outdoor lighting not only provides safety—it also changes the overall look of a space. These open-air fixtures create an atmospheric mise-en-scène. Solar Foscarini Designed by Jean-Marie Massaud for Foscarini, this outdoor light (pictured above) also acts as a surface to place drinks on or gather around. 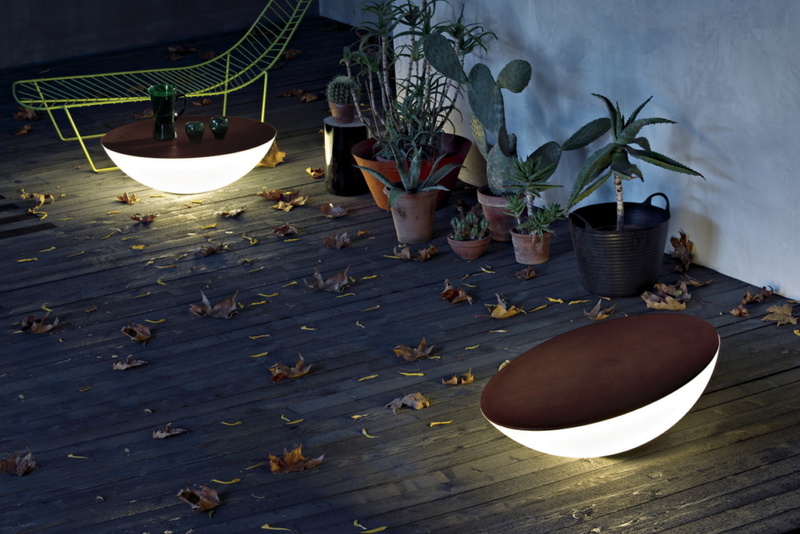 Made with a unique blend of durable polyethylene and porcelain stoneware, the base is fully illuminated, while the stoneware top shields light from below. 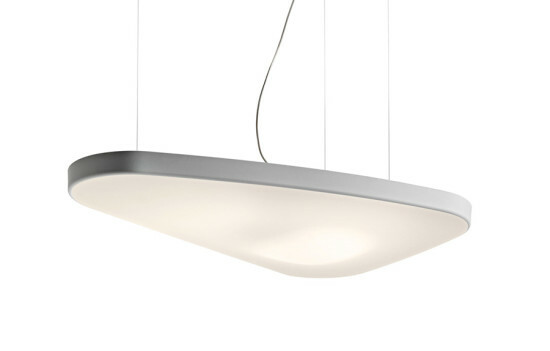 Halley Vibia A radiating arch of light is illuminated by a slim array of LEDs nested in a frosted lens. The resulting effect is an elegantly diffused, chiaroscuro treatment of light and shadow. Halley is made in three variations: floor-to-floor, floor-to-wall, and floor-to-clamp. Bollards Sonneman Working as an interconnected system of lighting along paths or planted beds, these bollards create a balance of solid geometry and LED illumination. Rectilinear columns form single-sided and double-sided LED-illuminated fixtures that come with myriad options for lenses, caps, and heights. Poppy Northern Lighting Inspired by a field of tall poppies, these outdoor oil lamps by Northern Lighting were crafted in a shape that captures the flowers’ elegant stems and crowns. Poppy is available as a table lamp, a floor lamp, and a lawn light that attaches to the ground with a pin. 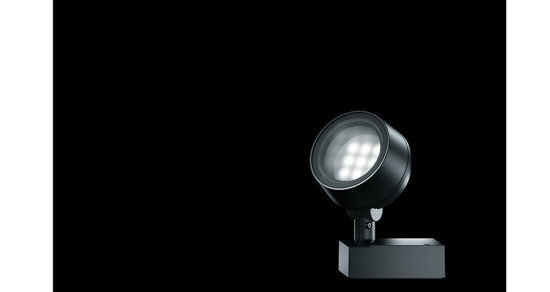 Made in powder-coated steel, the series is a part of the Unplugged outdoor lighting collection. Oblique Artemide This outdoor collection is inspired by a plant: Like a growing bean sprout, the oblique light head rest on a vertical stem stretching out of the ground. Artemide offers floor- and wall-mounted versions. Ballad Lamp and Stand Fermob Designed by Tristan Lohner, this portable lantern comes in seven bold colors and can be mounted on a stand to become an outdoor floor lamp. With rechargeable LED technology, the light is solar powered. Merging practicality—ingenuity, even—with aesthetics can yield impressive results. These light fixtures and accessories go beyond the basic function of illuminating a space in some very surprising ways. Pétale Luceplan This innovative, sound-absorbing suspension lamp combines technology and elegance, ultimately enhancing the true nature of the product: silence. Designed by architect Odile Decq, Pétale has an ethereal presence, thanks to its organic form and soft diffused light that filters through a white fabric cover. It contains a sound-absorbing panel that makes it perfect for large spaces that require high-quality acoustics. GATICA Tech Lighting Named for its uniquely flexible features (GATICA = General And Task Illumination, Controls, Adjustability), this modular LED lighting system combines aimable general illumination, wall wash, and aimable spot lighting all in a highly configurable, ultra-thin profile. GATICA's highly configurable components, quiet beauty, and light performance make it ideal for retail, grocery, office, healthcare, hospitality, museum, library, and gallery applications. It can serve as the sole or majority light source throughout spaces requiring general illumination, wall-washing, task illumination, or all three. Vesuvius ILEX In this elegant, unusual ceiling fixture, a polished, spun-aluminum shade surrounds a hammered metal baffle that is finished in Architectural Bronze or Polished Nickel. The inside of the baffle is brushed brass, which imparts a warm glow both upwards and downwards. Designed by Kevin Walz. Hubbardton Forge Line, Adorne Collection Legrand These hand-crafted, heavily textured metal wall plates coordinate with select Hubbardton Forge fixtures. In six finishes: Black, Natural Iron, Mahogany, Dark Smoke, Burnished Steel, and Bronze. SnapRays Guidelight SnapPower No batteries or hardwiring required: Patented metal prongs on the back of the faceplate make contact with the screws on the outlet, and draw power to the unit’s integral, sensor-operated, LED nightlights. Wireflow Vibia The electrical wires of this updated, abstracted chandelier can be adjusted to trace geometries in two and three dimensions, allowing a great variety of sizes and forms to be created. Designed by Arik Levy.